I was pleasantly surprised by Jeff Somers' The Electric Church during my trip to NYC and DC last summer, so I'm eager to give the sequel a shot! 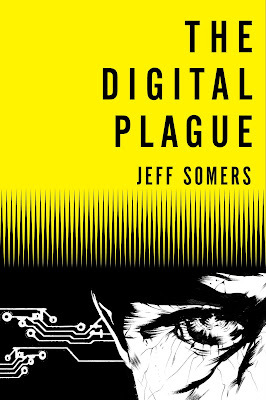 In an attempt to spread the joy, I have two copies of The Digital Plague up for grabs, compliments of Orbit. For more info about this title: Canada, USA, Europe. The rules are the same as usual. First off, you need to send an email at reviews@(no-spam)gryphonwood.net with the header "PLAGUE." Remember to remove the "no spam" thingy. Big video game bonanza on Amazon! For those who needed confirmation. . .
Tad Williams and Elizabeth Bear contest winners!